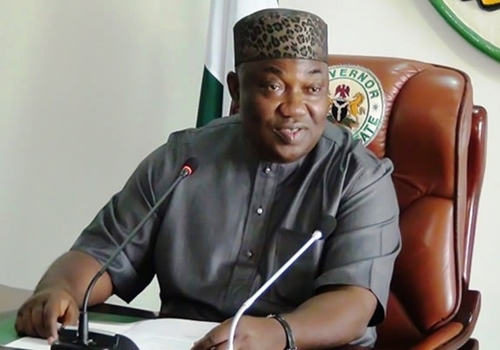 In keeping with the commitment of Governor Ifeanyi Ugwuanyi’s administration to the welfare of the workers, the Enugu State Executive Council on Tuesday approved a 13th month salary for civil servants of the state as an added boost to celebrate the forthcoming Christmas. The approval was the outcome of the meeting between the leadership of the organised labour in the state and the Council, held at the Government House, Enugu. Reacting to the development, the state Chairman of the Nigeria Labour Congress, Virginus Nwobodo, stated that the gesture was unprecedented in the history of the state, considering the nation’s economic downturn that has made it impossible for many states to pay workers’ salaries. Mr. Nwobodo commended Mr. Ugwuanyi for the offer, which he said was a surprise package borne out of his magnanimity and an incentive to the workers to motivate them to discharge their duties efficiently. Mr. Igbokwe, who stated that the workers are part of the Enugu project, maintained that the leadership of the union and the workers will continue to appreciate the gesture and reciprocate by discharging their responsibilities for the growth and development of the state. “We use this opportunity to commend His Excellency for his kind gesture and to continue to say that as Oliver Twist, good things will continue to come. Our prayer is that the state will continue to improve and increase its revenue so that more things will come the way of the workers,” Mr. Igbokwe said.